ETU is committed to providing assistance to federations who want to develop our sport in their country. This weekend we will see the inaugural ETU Triathlon Junior European Cup take place in Tulcea, Romania. This is part of a series of races the Romanian Federation has held and provides another opportunity for Romanian triathletes to gain valuable race experience. It is also an opportunity for the dedicated Romanian Technical Officials to gain more experience at top level events. We have seen the benefit of the input of the ETU Development Team with the improvement of performances from Romanian athletes. Following the Technical Officials’ Level I course last year held in Brașov last year we have seen Romanian Technical Officials work at the European Championships in Geneva, at the ParaTri World Cup in Besançon and at WTS events, most recently in Stockholm. 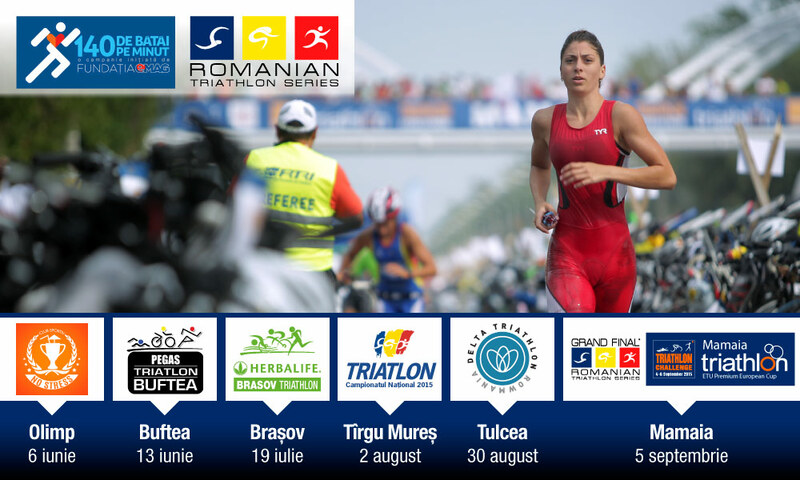 Romania, its athletes, technical officials and event organisers, are growing in confidence and with the support of ETU, is now firmly on the calendar for events. So, Tulcea. Where is it? Located on the shores of River Danube and Lake Ciuperca, not far from the Ukrainian border, the city is set on seven hills and is the main gateway to the Danube Delta. Multisport is not new to this area. 2015 will see the Junior Athletes from Europe race over a course that has been part of the RowmaniaFEST. This is an International Rowing Boats Festival, already in its fifth year. The Festival takes place during 28-30 August 2015 and features three days of paddling contests, rowing tours, triathlon, concerts on the Danube’s promenade, debates, film projections, Slow-Fish gourmet sessions, presentations of social projects covering eco-tourism, and expeditions around the Danube Delta. Something for everyone then. The Rowmania Fest is the brainchild of Ivan Patzaichin. He was one of the most famous rowers from the late 1960’s until the md 1980’s and competed in 5 Olympic Games, winning 7 medals. 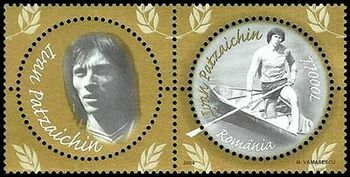 Four golds and three silvers sets him firmly out as the most successful rower that Romania ever had. Aside from his sport, Patzaichin is dedicated to the Danube Delta’s conservation and to a sustainable development in the future with a view to making the area the most important eco-destination in Europe. This coming weekend will see our Juniors have a chance to gain more points for the ETU Junior Ranking Series as well as prize-money for the top three athletes. The men will race first on Sunday morning at 08:15, with the women setting off at 09:45. The course is a one-leg swim of 750m, followed by a traffic-free 5-lap course of 22.4k. The athletes can expect a good climb out on the course, which may see a few breakaways. The run is a 2-lap flat course in the city centre of 5k. Between 11:00 and 15:00 the open races will take place and the evening will close with a massive celebration; fish dinner and live music. I am sure that many of the Elite would have liked the chance to enjoy such hospitality and will be genuinely envious when these juniors next meet up with them. The line-up for the men sees Slovakian Tadeáš Fazekaš wearing number 1. His 5th place in Burgas follows a 6th in Kupiškis and a top 10 in the ETU Powerman race in Weyer in 2014. His running off the bike makes him the one to beat. Behind him and in the best form of his short career, comes Michał Oliwa POL. His silver in last year’s ETU Aquathlon Championships shows he has good pace in the swim and with a 5th and 4th this year in Melilla and Kupiškis he will want to put the ghosts that caused his DNF in Burgas when his crank sheared off. Luka Paliska CRO wears number three and will be wanting a solid race after a disappointing performance in Riga. Romanian hopes will be pinned upon their 8 athletes, some of whom will be racing internationally for the first time. The start list sees 28 athletes from 9 nations. The Women’s line-up will see 13 athletes from 7 nations racing. Leading the rankings will be Ukraine’s Sofiya Pryyma. Her victory in Kupiškis last year saw her put a huge amount of distance between her and the rest of the field with powerful biking and running. Second ranked is Elisabetta Vitasović CRO. Her 5th in Burgas this year was on the back of some strong cycling. Ranked third is German athlete Katharina Krüger. This race will be her chance to impress the German coaches and it will be her third international triathlon. Romanian hopes will rest upon Andreea Balan who was the junior Romanian National Champion in 2014.